Arrowed: Hawkgirl Cast for Arrow / Flash – Atom Spin off? I talked about this in a two part post. Found Here Part 1, Part 2. – but it looks like there is some more news coming down the pipeline. It was announced this week that Ciara Rennee had been cast as Hawkgirl in the CW Arrow / Flash universe, appearing in the upcoming spin-off TV-Show, largely speculated to be based around the Atom (Brandon Routh). Most first appearances and key Hawkgirl books are in the silver age, so they are already pretty pricey however If you read some of the articles you see that the Hawkgirl that has been cast is Kendra Saunders, an incarnation of Hawkgirl that only appeared in the DC Universe in 1999. Kendra Saunders’s first appearance is JSA Secret Files #1 (1999). This is a dollar bin book, and it holds a lot of potential for when the spin-off tv show airs. What are your thoughts about Dr. Fate making his way to the small screen or big screen for that matter. He has already been hinted at on Constantine via Easter Egg, but it would make sense to pair him with Hawkgirl. Any thoughts? And even if it wasn’t JSA: Secret Files and Origins #1 (which it is), the title and image are both wrong in the article. 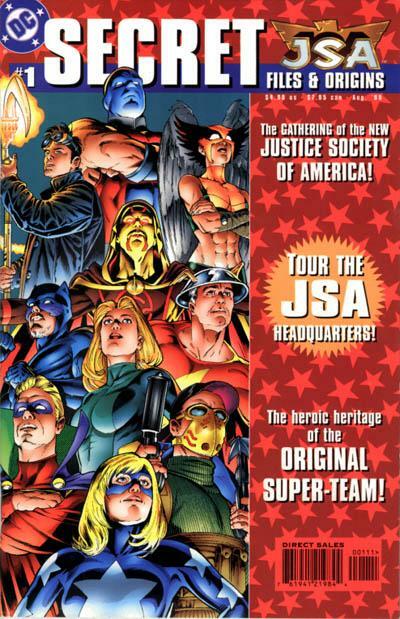 The 1999 title was simply JSA. 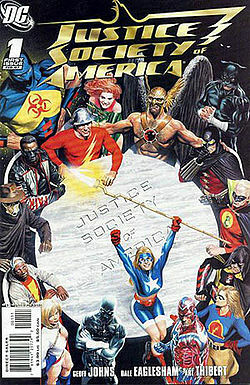 The image used is for Justice Society of America (2007) #1.